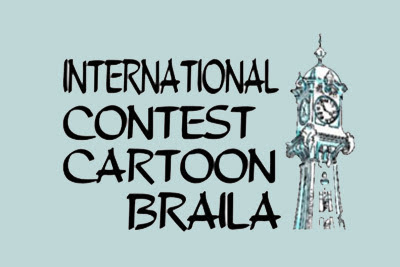 International Cartoon Contest 2018 Braila Romania.. The cartoons will be original and accompanied by a brief biography (including photo, addresse and phone number). The Prizes will be taxed according to Romanian legislation. To be able to receive their prize, winners must send the winning cartoon in original (with the author's signature on the back of the work) within 30 days from the announcement and communicate the bank account in Romanian currency lei ( for the Romanian competitors) or the euro account (for foreign competitors). The winners will receive a cataloque and an awarding certificate. Salon opening and awarding ceremony: the 28th of September 2018. The catalogue of the International Cartoon Contest-the XIIIth edition may be downloaded from the institution official site http://centruldecreatiebraila.ro/ .